If you’re anything like me, once your hands and feet are cold, it’s hard to stay warm. Luckily, I’m a knitter and adore making knitted mittens and socks, especially when the project explores techniques and designs from different cultures. The variations in color and texture are endless, which makes the knitting both engaging and fun. Is your knitting project list in need of a bit of inspiration? The PieceWork eBooks Knitting the North: 4 Traditional Mitten Patterns from Northern Europe and Knitted Socks of the World: 5 Traditional Sock Designs from Across the Globe both include knitting patterns with a global theme. Whether you yearn for complex stitch patterns or vivid colorwork catches your eye, you’re sure to find something to excite your knitting needles. Priscilla Gibson-Roberts’s adaptation of the Armenian sock. Photo by Joe Coca. In Knitting the North: 4 Traditional Mitten Patterns from Northern Europe, Donna Druchunas’s “Dutch Skating Mittens” were inspired by the nineteenth-century novel Hans Brinker, or the Silver Skates (1865) by author Mary Mapes Dodge (1831–1905). 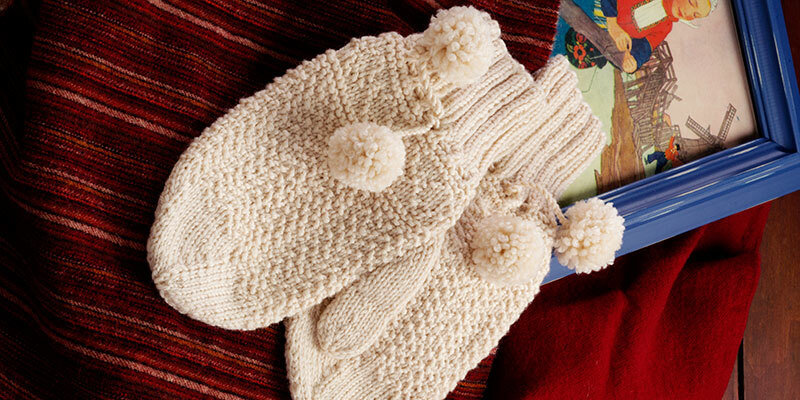 These charming mittens include a twisted-cord drawstring, cheerful pom-poms, and showcase a knit-and-purl pattern that was common in Dutch fisherman’s sweaters. 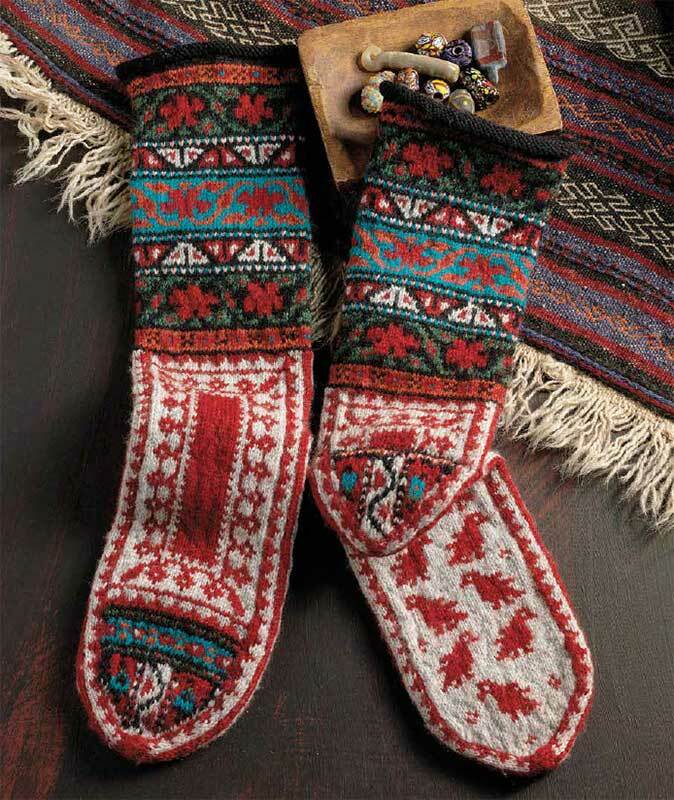 The “Colorful Armenian Socks” by Priscilla Gibson-Roberts, featured in Knitted Socks of the World: 5 Traditional Sock Designs from Across the Globe, were adapted from a nineteenth-century sock. Pricilla’s version uses larger needles and thicker yarn than were that used for the original, and she believes that the methods for color stranding the toe and heel appear to have begun in Bulgaria. There’s no need for a passport! With PieceWork’s Knitting the North: 4 Traditional Mitten Patterns from Northern Europe and Knitted Socks of the World: 5 Traditional Sock Designs from Across the Globe eBooks, you’ll be able to travel from your armchair with just a click of your needles. Embark on a new knitting adventure without delay! Featured Image: Donna Druchunas’s knitted “Dutch Skating Mittens.” Photo by Joe Coca. Discover more mittens and socks to knit from PieceWork!